Back to Home Back to Golf Tips Back to Iron Play Back to Video Tips Back to 2010 Back to March Back to Knock out every pin! When faced with a stunning approach shot after a great drive, we want to match such beauty with one of our best irons shots that seek out the pin and set us up for a birdie putt from close range. But to do this, we need to be confident we can square the clubface at impact when under pressure. 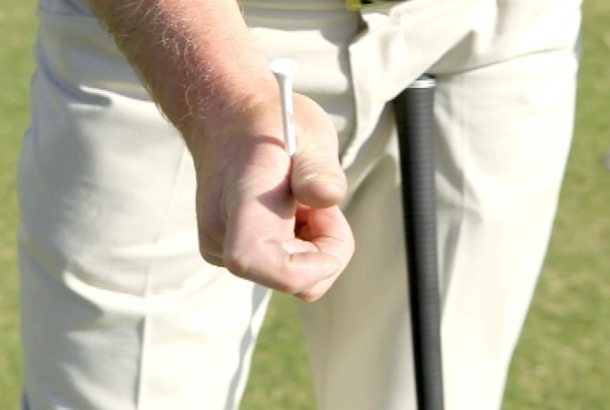 This tee-peg drill from TG Elite Teaching Professional Adrian Fryer gives you an important checkpoint in the backswing to achieve, which will guarantee you hit straight iron shots when you need them most!